As always, be sure to pay attention to color when choosing your material. Rustic-themed rooms usually have a natural, outdoors-y feel, with colors you might find by stepping right outside your back door. Look for deep browns, reds and grays that will bring a sense of calm to any room. The more natural stone, the better. Rustic designs encourage the use of stone throughout your home to create the appearance of nature, indoors. 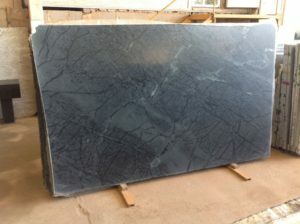 For instance, soapstone, which is made up of mineral deposits created by nature and quarried from the earth, can make a great backsplash or beautiful fireplace. Renovate your bathroom features to match. Getting the rustic style you want for your home won’t work if your shower and sink are too plain or average. Having a shower with custom-tiling can turn your bathroom into a natural spa, making it a room you actually enjoy being in! Choose the same dark, nature-made materials as the other areas of your home for a uniform look. 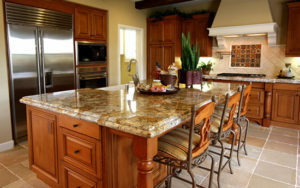 If you’re ready to redesign your home to fit the rustic theme of your dreams, call AAA Hellenic Marble & Tile at (610) 344-7700 to talk to one of our talented designers.